Manchester United have reportedly offered goalkeeper, David de Gea a new £400,000-a-week contract to become the highest earner in the Premier League history. De Gea has been impressive since he joined United from Atletico Madrid in 2011. United staved off the prospect of the 28-year-old leaving on a free transfer next summer by securing De Gea's services until June 2020, by triggering a one-year option to extend his contract last November. The Sun reports that De Gea has been offered a £400,000-a-week contract, which includes bonuses to commit his future to the club, with United making him the highest-paid player in the Premier League. Premier League's highest earner at present is Manchester United striker, Alexis Sanchez with his £350,000-a-week deal. 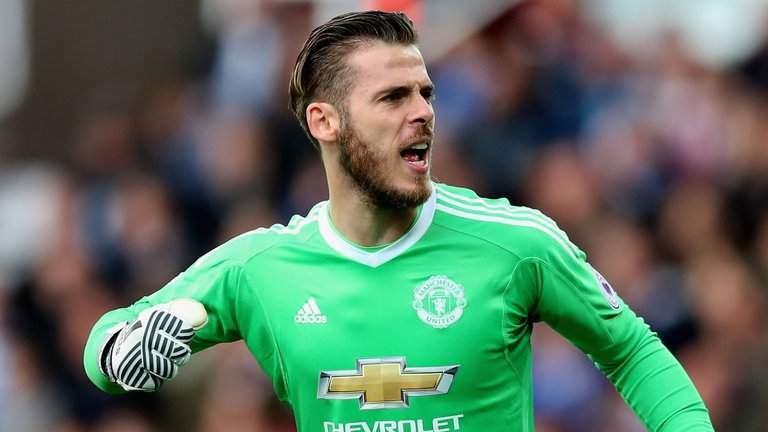 Meanwhile, De Gea won the Match of the Man award in United's 1-0 victory over Tottenham Hotspur in the Premier League encounter played on Sunday at Wembley.